Since 1982, when the presence of the spiritual master, inner teacher, and guide known as Dwahl Khul, or DK, entered her life, Catherine Weser has been sharing his teachings with a constantly growing international audience. 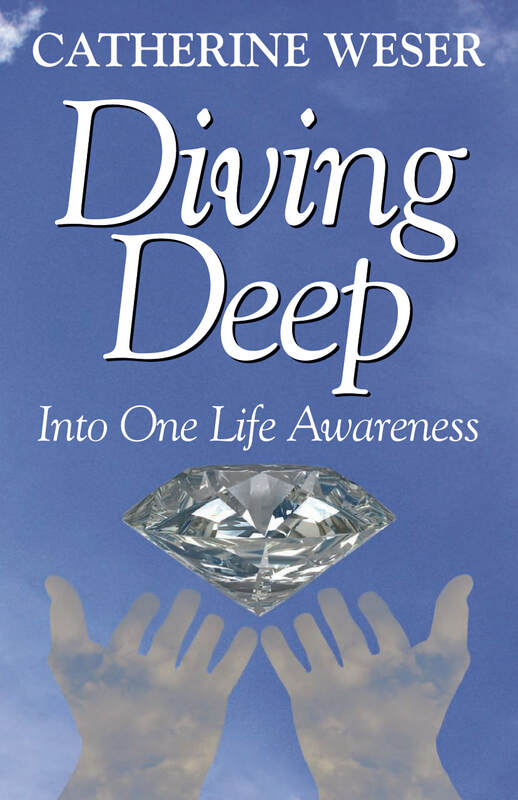 Now, in Diving Deep, she combines her own knowledge and creativity with DK’s wisdom of One Life consciousness, channeling this merging of presence and letting go of self-identity. Her new book is a fully integrated blending of Catherine’s fascinating personal journey with DK’s inter-dimensional guidance, and includes powerful affirmations of gifts and resolutions to challenges. As with Catherine’s many articles and workshops all over the world, all the lessons of Diving Deep are guided by the presence of DK as inner teacher, influencing and guiding the information. One Life, as Catherine notes, is a non-dual philosophy. To know One Life is to experience all in an awakened state of being. In the One Life, all sentient beings are one. There is no path to the One Life; it is simply here and now. Catherine Weser is an artist and conscious channel. After 10 years of regular meditation, a non-physical presence appeared to her as a teacher -- Dwahl Khul, aka DK --in the One Life, and has remained with her for 30 years. She lives in Santa Fe.